Every once in a while, we need a fresh start. In order to grow, we need to every so often challenge ourselves, sweep the cobwebs, shake out the rug and take inventory of what we have. And most important, we need to determine whether what we have is what we really want. You might have noticed my site looks a little different than it did the last time you visited. It’s fresher, brighter and a better reflection of the kind of person I really am and continue to strive to be. Over the years, this blog has been a resource for me – it’s grounded me, taught me how to cook and given me opportunities I never would have had otherwise. In turn, I’m going to make this blog a resource for you. I’ll be incorporating short how-to videos and offering more instruction on how to make cooking healthier, easier and more enjoyable, and I’ll continue to share the recipes I’m concocting in my own kitchen. I want to help you rediscover your kitchen as the creative oasis that it is. I want you to take joy in cooking and view dinner as something to be savoured each and every day – not something to dread the minute the five o’clock hunger pangs come along. Please let me know what you think of the new look – I’d love to hear your thoughts! And special thanks to my friend, graphic designer and illustrator Bianca DiPietro, for creating my adorable logo at the top. For more of her work, check out her website. 1. 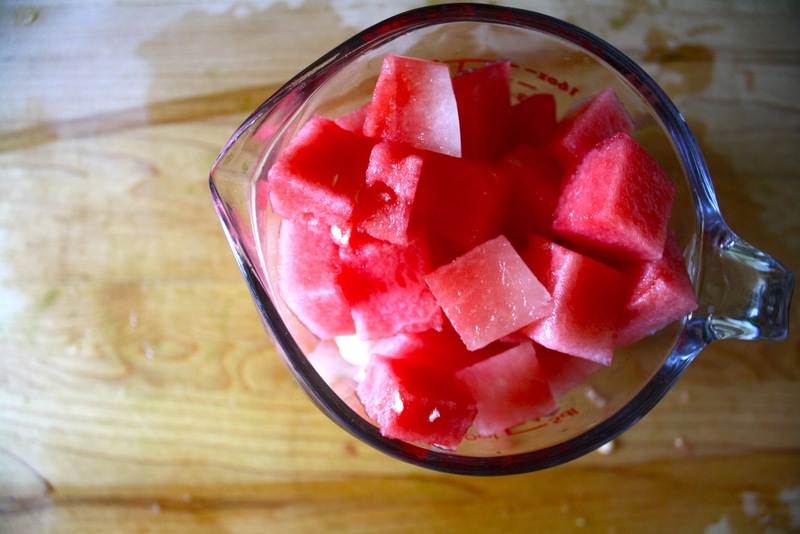 Chop your watermelon into medium-size cubes. 2. 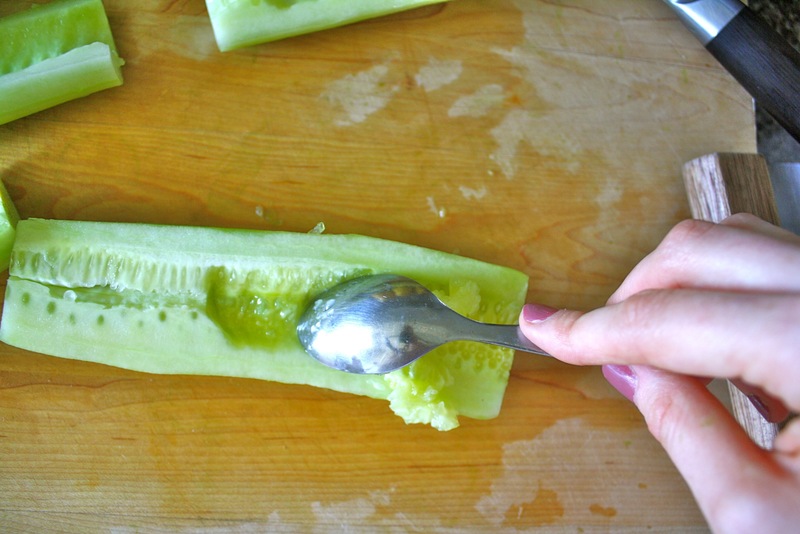 Peel and halve cucumbers lengthwise and remove seeds by running a spoon along the middle of each half. 3. Purée it all in a food processor with lemon juice and white balsamic for a hint of acidity… and that’s it! Serve this chilled soup as a refreshing light summer lunch, or spoon it into small mason jars for a cute dessert option! 1. 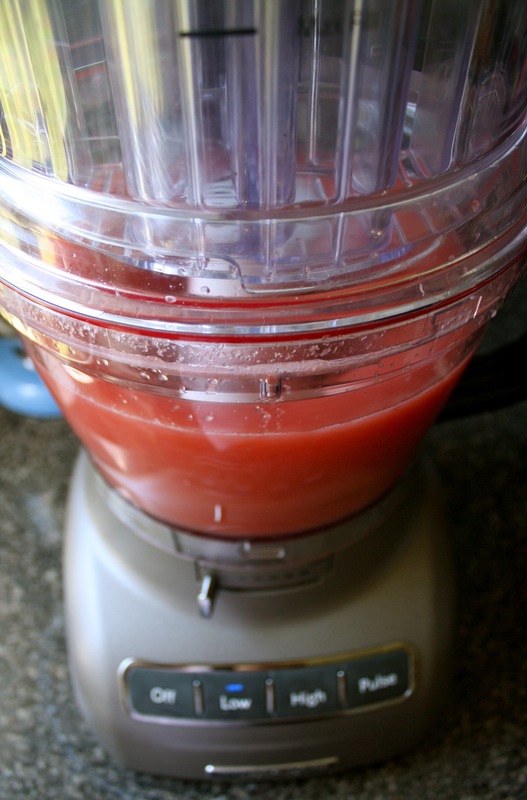 In a food processor or blender, purée watermelon, cucumber, lemon juice and vinegar until smooth. (TIP: You may need to work in batches, depending on the size of your food processor or blender.) Refrigerate until chilled. 2. In a large chilled bowl, add cream. With an electric hand mixer or whisk, beat until stiff peaks form. Fold in basil. 3. 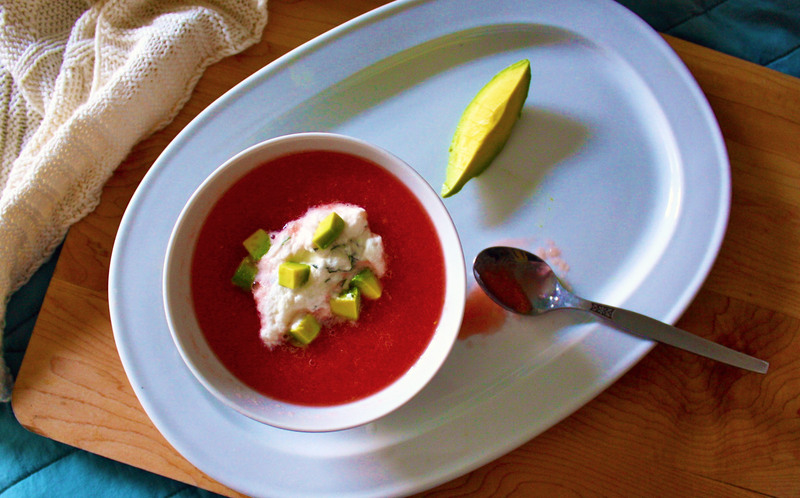 Serve gazpacho in chilled bowls with a dollop of basil cream. Garnish with avocado.